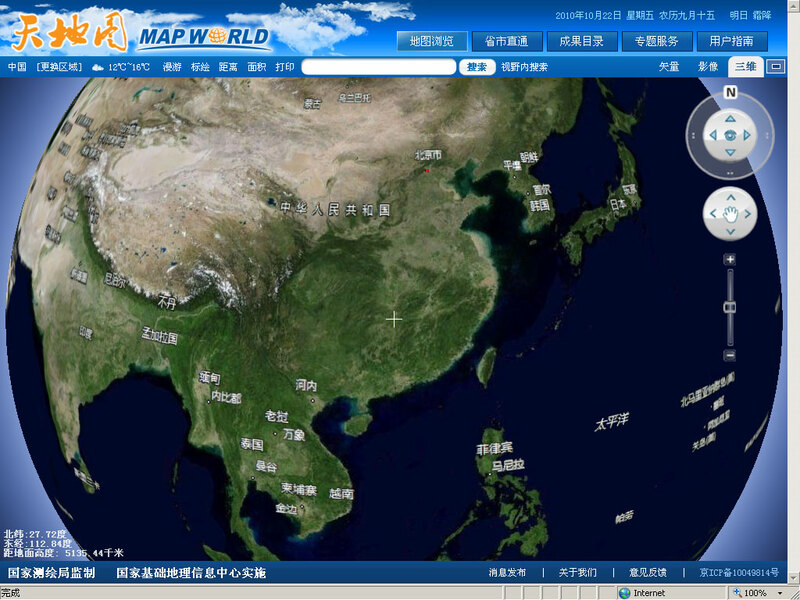 A quick update on China’s newly launched Map World: Chinese neogeographer William Long has posted a review of Map World on his blog (English translation), wherein he notes that at least some of the imagery in Map World is gleaned from American satellite imaging company DigitalGlobe: William compared Map World’s imagery of Tiananmen to Google Earth’s historical imagery archive and found identical imagery from DigitalGlobe dated Feb 9, 2007. (He posts comparison screenshots.) 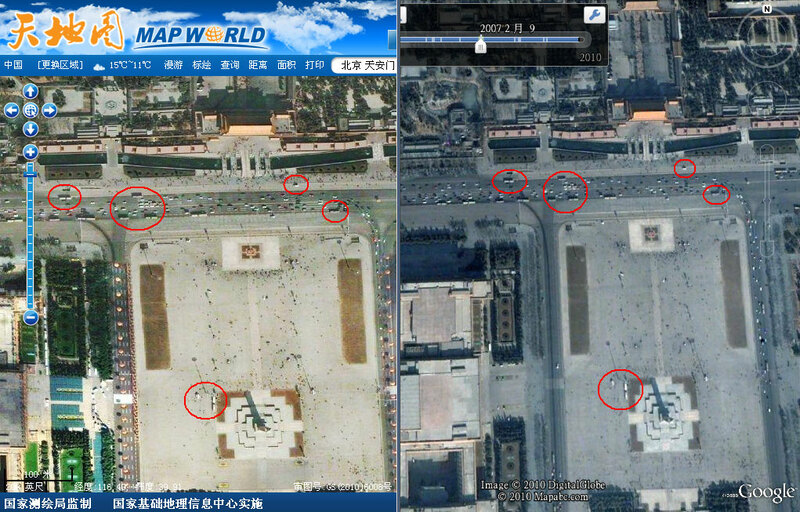 Google Earth, meanwhile, carries imagery from as recently as Nov 8, 2009. His other point worth mentioning: the 3D view doesn’t actually do 3D. It doesn’t render elevation. It is merely the 2D imagery projected onto a sphere. The one advantage over 2D: The 3D imagery doesn’t suffer the 2D imagery’s north-south compression due to Map World’s funky projection.